Born in Manila from an Ilocano mother and Manilenyo father and raised in Rizal. Grew up in a community of artist that greatly influenced my Love in visual and Performing arts. I've been Blogging for almost 6 years and now I'm still enjoying it because it gives me the chance to go places, try new activities and meet interesting people. I also enjoys watching movies, collecting and reading comicbooks. 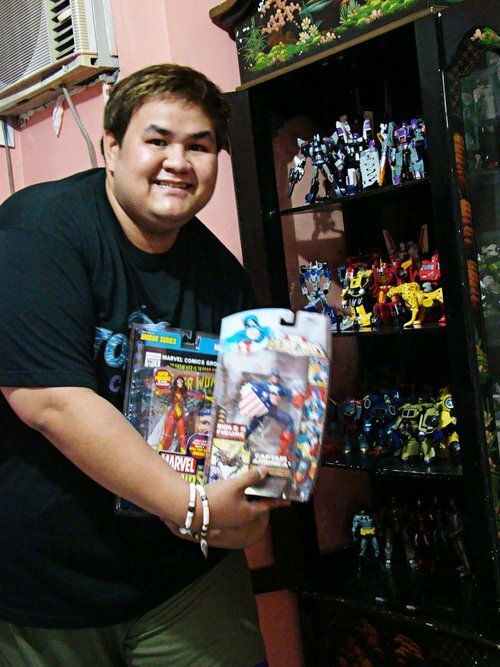 My friends also influenced me to venture in Toy and Action Figures collecting hobby which I really enjoy despite the financial and economic crisis that we experience. Professionally I'm employed in a Publishing company designing Websites and Ads. I'm also looking forward to try film making or go back acting in theater. I really like the spotlight so maybe one of these days I'll go back and try doing stage or even indipendent films.